Perhaps, this has happened to you: You're out and about--shopping, running errands, spending the day in a city--when you notice a garment or accessory on a man or woman and think: "Well, there's something different." Then, maybe a few blocks later or a couple of hours later, you'll see someone else modeling the same look. After it happens a third time, you realize: "Wow! It's a new trend!" Does that happen to you? It happens to me a lot when I'm in New York City. Spotting new trends on the street is fun--kind of like a scavenger hunt. However, it also happens off the street. 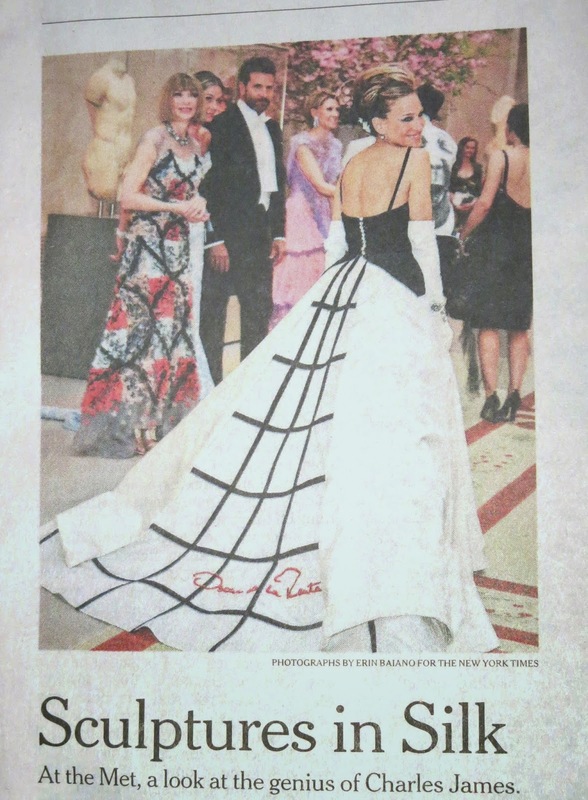 I'll have the same sort of "fashion ah-ha" moment while watching television and/or reading the newspaper. Are white garments with thin, intersecting black line going to replace last year's tsunami of bold striped fashions? Doubtful. I suspect in another week, women everywhere will be covered in thick stripes once again. However, I appreciate this new take on the black and white trend and the geometric patterns trend. Or is it new? It seems a bit nostalgic to me. 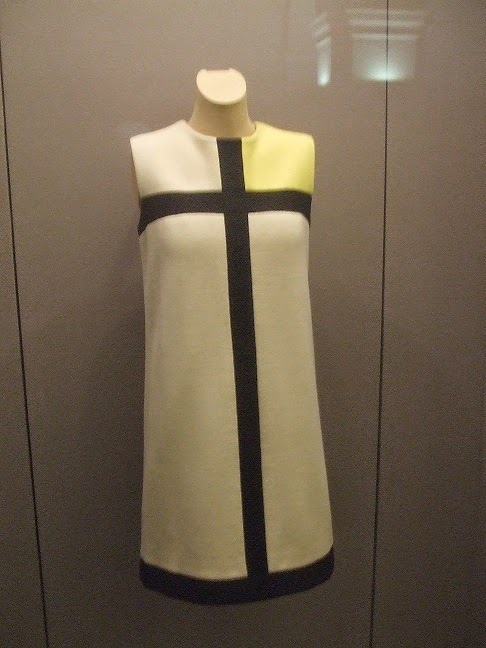 It reminds me of Yves Saint Laurent's famous "Mondrian" dresses (below) from the 1960s, without the colored squares. I know some women over 50 feel their complexion is washed out by white. I also know plenty of other women consider white garments a wardrobe staple. Katie Couric keeps her look bold, not washed out, by pairing her mostly white dress with a short black cardigan.